While outgoing Twenty-First Century Fox Inc. CEO James Murdoch has been said to likely be appointed the next chairman, Musk tweeted that “This is incorrect.” That comment was directed at a Financial Times report that the son of Fox mogul Rupert Murdoch would be taking one of Musk’s titles. Murdoch joined Tesla’s board last year after years of work with media companies. EDTA reports spike in plug-in sales: The number of plug-in vehicles sold from January through September 2018 is a 64% increase over the same period last year in the U.S., according to the Electric Drive Transportation Association’s sales dashboard. EDTA reported that there has been 229,874 total plug-in vehicles sales in 2018, with battery electric vehicles (BEVs) at 144,505 and plug-in hybrid electric vehicles (PHEVs) at 85,369 through the end of September. Sales between the two segments were close during the first half of this year, with BEVs taking a leap in the third quarter. During September, BEVs made up 34,046 of the U.S. total and PHEVs made up 10,543 units. EDTA also reported a new look for the dashboard and updates to its research methods. BYD wins major electric bus deal: BYD will be helping Vancouver’s largest private bus operator, WESTCOAST Sightseeing, to become a 100% clean-energy fleet by 2023. That deal will consist of 90 electric buses of various types, with the Chinese maker being named the exclusive supplier to WESTCOAST. BYD’s North America manufacturing unit, based in Lancaster, Calif., has taken orders for over 600 electric buses. The company has invested more than $250 million and has delivered 270 of the electric buses so far. BYD is also building electric commercial trucks to serve fleets outside the bus sector. 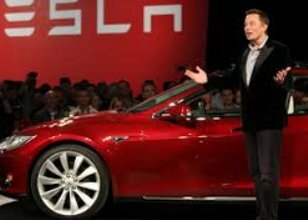 Musk’s performance compensation: Tesla, Inc., has announced a new compensation package for CEO Elon Musk this week based entirely on performance — and expectations that the company’s market valuation will be more than 10 times larger than it is today. The company announced that it has started a 10-year CEO performance package based entirely on the automaker’s market cap growing from the current level of $50 billion to more than $650 billion over the next decade. A similar program had been enacted in 2012, with Musk more than hitting the mark. 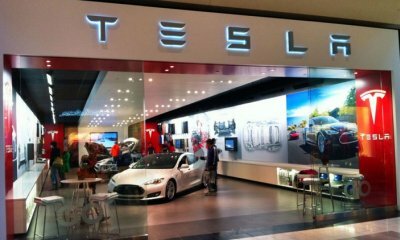 A few market analysts at Seeking Alpha, and news media reports, have been waiving the flag about how realistic the company’s assessment of where it stands with Model 3 production, which will play a very large role in how the company is valued and whether Musk’s new compensation package will work. Fuel economy standards coming up: The federal government’s re-examination of fuel economy standards will be strictly based on scientific data gathering and analysis, said William Wehrum, EPA assistant administrator of air and radiation in a speech at the Washington Auto Show. A deadline of April 1 is coming up for review of the fuel economy and emissions standards, which has been a hot topic during transition over at the White House. The EPA has been working to leave behind prior research methods and instead adopt more real-world conditions in an objective, fact-based methodology. RNG growing in sales: Clean Energy Fuels Corp. said that sales of it Redeem renewable natural gas (RNG) fuel offering grew by 32% in 2017, from 60 million gallons in 2016 to 79 million gallons in 2017. 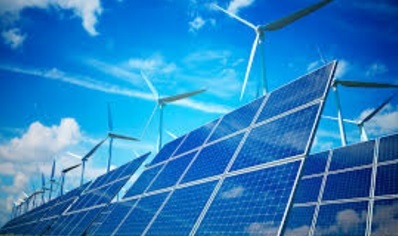 The 2017 volume from Clean Energy represents over half of the overall United States RNG production as reported by the Environmental Protection Agency through December, the company said. Watching cryptocurrency: Starting up a cleantech, clean transportation company and looking for some seed money? Bitcoin and other cryptocurrency has grabbed a great deal of interest in recent months in energy, automotive, technology, and other industries as a viable and growing source of capital. It’s based on a technology called blockchain, which keeps a database of every transaction and uses universal cryptocurrency as the commodity. Navigant Research just sent out a warning after studying date from CoinSchedule.com showing that 325 initial coin offering events last year raised $3.7 billon that is still being examined by the Securities and Exchange Commission on how to regulate this new currency. There’s also the fraud side of the business with the Commodity Futures Trading Commission recently filing complaints. 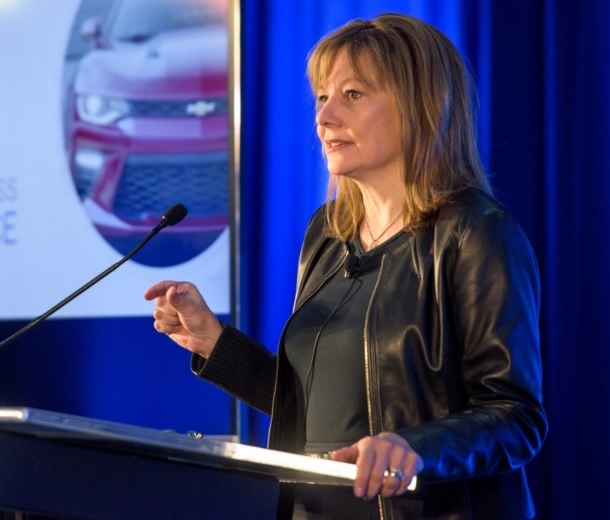 Newsworthy events for the new year: General Motors may be shifting its focus away from the Chevrolet Volt and other plug-in hybrids and onto battery electric vehicles like the Chevrolet Bolt. The company is reportedly looking at ending production of the Volt in 2022, according to a report by AutoForecast Solutions. Sluggish sales of the Volt, and improvements made to battery packs in range and cost, are influencing GM management to phase of out of plug-in hybrids. 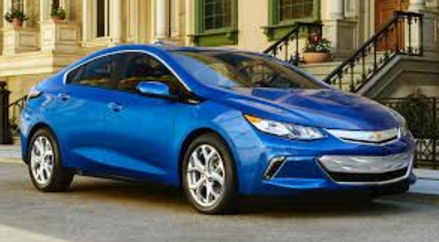 By now, GM had been expected to launch spin-offs based on the Volt drivetrain, but the business plan has instead shifted over to rolling out two more all-electric vehicles over the next 10 months. At least 20 all-electric or fuel-cell models are due to come out by 2023……….. The health impact on humans from air pollution has been researched in a Journal of the American Medical Association (JAMA) study, finding it contributes to more than 20,000 fatalities a year in the U.S. The study used Medicare files and air pollution data looking at fatalities between 2000 and 2012; the study found that day-to-day increases in air pollution, even at levels that had been considered acceptable, have devastating consequences. Those impacted had lived in areas with greater exposure to fine particulate matter (PM 2.5), which are small particles of soot that easily enter the lungs and bloodstream………… China has seen the impact of a rapidly growing vehicle population in recent years, with heavy air pollution setting off hazard warnings in cities like Beijing. The government is adding another measure to fight off air pollution by ending sales of 553 vehicle models that don’t meet fuel-consumption standards. Beginning January 1, production has been halted of the 553 models, according to Bloomberg News. That list includes models made by Audi, Beijing Benz, and Chevrolet…………. Tesla will be adding electric pickup trucks to its lineup, according to CEO Elon Musk. That will happen after the Model Y electric crossover is launched, he said. It will be the size of a Ford F-150. “I promise that we will make a pickup right after Model Y. Have had the core design/engineering elements in my mind for almost 5 years. Am dying to build it,” Musk tweeted last week Tuesday………… North Korea will see its oil supply reduced through a United Nations-imposed sanction in response to the country’s nuclear weapon testing program. South Korean authorities last week seized a second ship that was suspected of supplying oil to North Korea in violation of the international sanctions, officials told BBC. The oil tanker, with its Panama flag, is being held at a port town near the western city of Pyeongtaek. South Korea had already impounded a Hong Kong-registered ship that was suspected of delivering 600 tons of refined oil to a North Korean vessel. Sponsorship program reaching stakeholders in clean transportation who read Green Auto Market. Subscribing to Green Auto Market Extended Edition for weekly data analysis on green car sales, regulatory issues, global market trends, energy, and emerging mobility companies and technologies. See the article below on reaching consumers through practical methods, which comes from the recent edition of GAM EE on key trends from 2017 extending into the new year. 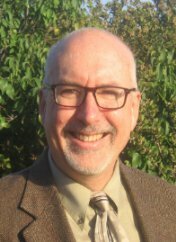 Market research firms and strategic planning consultants have interviewed GAM editor Jon LeSage on electric vehicle sales trends, consumer attitudes on the technology, the challenges that fuel cell vehicles face, and automaker partnerships with tier one suppliers. Contact jon at jon@jonlesageconsulting.com for more information. Jumpstart Automotive Media released a report in December analyzing the impact that a revised strategy being tried out at auto shows is having on car shopping. Events such as the LA Auto Show have been less about the wonders of far-out advanced technology, and more about bringing to life the innovations found in today’s vehicles. Learning more about the new vehicles and their capabilities goes far beyond those visiting the showrooms, with millions of consumers gaining digital access to the car shows online. Cars are coming equipped with interactive systems like Apple’s Siri and Amazon’s Alexa that allow for verbal commands and touch screens simplifying the process — and getting car owners to see new possibilities coming through the technology. Connected car systems are expected to be the gateway to fully autonomous vehicles coming to roads over the next decade. Today, drivers can tap into mobility functions to manage charging their electric vehicle through voice commands, and to find out about available public charging spots. EV tax credit continues: While still awaiting signature by the president, the comprehensive tax bill does keep the current tax credit alive. Electric vehicle owners will still be able to claim a tax credit up to $7,500 on the purchase. The 200,000 unit cap will still be in place with Tesla, General Motors, and Nissan expected to hit that ceiling sometime next year. Automakers and organizations such as CALSTART and Plug In America had been lobbying for inclusion of the tax credit, which had been initially cut from a House tax bill. 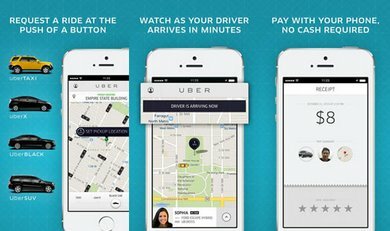 Uber loses big lawsuit in Europe: Uber is legally defined as a transport company, according to a ruling this week by the European Court of Justice. The ride-hailing giant had argued that it merely provides a mobile app linking riders to car owners, and not a taxi or livery company. The case had come out after Barcelona ruled that Uber was to obey local taxi rules in that city. Uber downplayed the court ruling, saying that the company already operates under transportation laws in most European Union countries. Analysts say the ruling will have serious implications for Uber and other similar companies operating in the new gig economy. Uber and its new management team have a set of challenges to face after going through a difficult year. Newsworthy: Lyft continues to see a very strong year, now finding that its initial plan to raise $1 billion has gone up to $1.5 billion from a group of investors. Backers include Fidelity Management & Research Company and Ontario Teachers’ Pension Plan. AllianceBernstein, Baillie Gifford, KKR, Janus Henderson Investors, and Rakuten. CapitalG led the billon-dollar round. The ride-hailing firm’s valuation is now at $11.5 billion. Alphabet, the Google parent company, played a key role in bringing in more investors for Lyft during October – after pulling away from financial support for arch-competitor Uber and filing its intellectual property theft lawsuit affecting its Waymo division……………..
A Morgan Stanley analyst expects that Tesla Inc. could lose attention from CEO Elon Musk, who may be devoting more time to his SpaceX intergalactic travel company. Morgan Stanley’s Adam Jonas wrote in a report Tuesday that we may see more of an alliance between Tesla and SpaceX in the future. 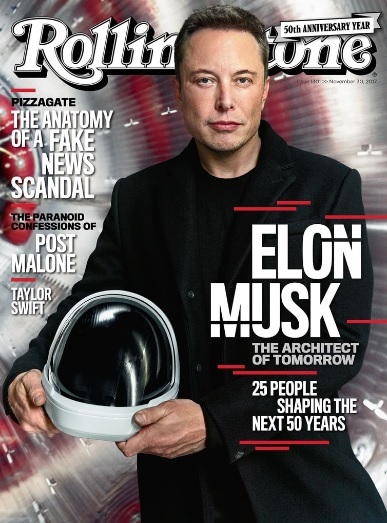 “Investors widely expect Elon Musk to, over time, devote increasing amounts of his time and talents to SpaceX, raising the very real question of who could replace him at Tesla,” Jonas wrote. “A combination of efforts between the two firms could address this important issue.” The two companies will play on the alliance during an commercial in January. A SpaceX rocket will carry a Tesla Roadster sports car owned by Musk as payload when it travels toward Mars…………. Gladstein, Neandross & Associates was profiled in a newsletter article this week by California Natural Gas Vehicle Coalition. Along with putting on ACT Expo and other clean transportation events, GNA has played a key role in raising millions of dollars in grant funding for clients during its history. The consulting firm will celebrate its 25 year anniversary next year. The company has effectively supported the use of renewable fuels, and has provided research and analysis for all parts of the clean transportation industry. GNA also does emissions modeling, assists with technical fleet planning, monitors government affairs, and provide communications and media services to clients, CNGVC said. Tesla Model X recall: Tesla is recalling about 11,000 Model X electric SUVs to correct a problem in the second-row seats. For the Model X units manufactured between Oct. 28, 2016, and Sept. 1, 2017 with a second row seat that folds down flat, Tesla will be correcting an error that could mean the second row seats would move forward in a crash. The problem stems from incorrectly adjusted seat cables and was discovered through internal testing. It only affects about 3% of those vehicles. The electric automaker is taking on the voluntary recall through a 10-minute procedure done by mobile service operators. The company hasn’t received reports of any issues or accidents related to the problem; customers were to be alerted starting yesterday. What Ford learned from workplace charging: Ford Motor Co. will be tripling its electric vehicle charging stations available to its employees in North America from 200 to 600 chargers over the next three years. The first 200 have been in place for three years and have been the source of data on charging habits used by the automaker in its electrification strategy. Ford reported that access to workplace charging appears to be crucian for EV owners and can influence their purchase decisions. Bringing more workplace charging will be part of mass market adoption of EV technology for Ford and the overall industry, the company said. 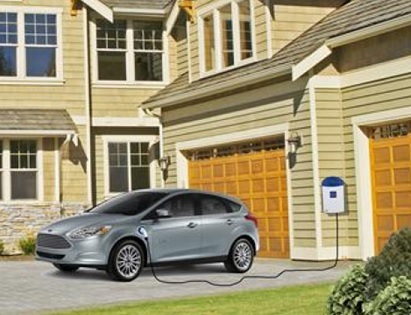 Through early August, Ford’s charging network had provided about 2 million miles of electric driving to its employees. VW electric trucks and buses: Volkswagen Group’s truck and bus division will be investing about $1.7 billion into new technology to support battery electric commercial vehicles targeted at urban markets with growing concern over poor air quality. Andreas Renschler, head of the unit, said Wednesday that the investment will go into electric drivetrains, autonomous systems, and cloud-based software. The new technology will end up in systems used by the company’s U.S. truck affiliate, Navistar International. In Europe, it will go to the company’s MAN and Scania nameplates for all-electric buses that will come to European cities next year, he said. That goes with offerings to bus operators that include biodiesel, hybrid systems, and natural gas vehicles. Clean vehicle jobs: A new interactive map shows that the Midwest, Northeast, and California have been at the heart of job creation and economic growth in clean vehicles. As the federal standards for fuel economy and emissions are under review, the BlueGreen Alliance Foundation issued a study looking at what’s happened since the federal standards were finalized five years ago. The map highlights advanced vehicle, component, and material manufacturing facilities, and jobs across the U.S. It was done to provide a local-level view of innovation across the industry that supports energy security, economic growth, and global competitiveness. California supports more clean vehicle programs: On Tuesday, California Gov. Jerry Brown signed several bills to strengthen California’s zero- and near-zero-emission vehicles. One of them, A.B.739, requires at least 15% of specified heavy-duty vehicles newly purchased by state agencies to be zero emission vehicles beginning in 2025; and at least 30% of those vehicles to be ZEVs beginning in 2030. S.B.498 will require at least 50% of the state’s light-duty vehicle fleet to be ZEVs by 2025, up from the current goal of 25% by 2020. The bill also requires the California Air Resources Board to develop policies and programs that will increase ZEVs in private-sector fleets. Several other assembly bills were signed into law, including one that allow certain clean vehicles to access high-occupancy vehicle lanes, and another authorizing local jurisdictions to dedicate on-street parking spaces for electric vehicle charging. USPS going electric: The U.S. Postal Service is getting ready to bring in electrified delivery trucks, according to photos received by Trucks.com. One of the publication’s readers sent in photo of a road tests being done about 30 miles northwest of Washington, D.C., of a USPS badged mail delivery truck likely coming from Workhorse Group and truck body manufacturer VT Hackney. They’re among five entries into the USPS’ Next Generation Delivery Vehicle Program. Workhorse confirmed it was their truck in a tweet Monday after the story was first published in Trucks.com. Workhorse will supply the powertrain and chassis, and VT Hackney will build the body if they win the contract with USPS. 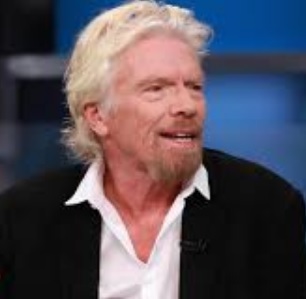 Richard Branson investing in Hyperloop One: Hyperloop One has gained funding from billionaire Richard Branson and will be changing its name to reflect it. The company announced Thursday it will be renamed Virgin Hyperloop One, and it followed a significant but undisclosed investment by the Virgin Group founder. Based in downtown Los Angeles, Hyperloop One comes from a concept released a few years ago by Tesla and SpaceX CEO Elon Musk. 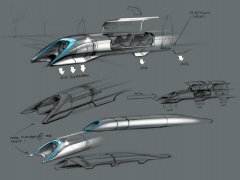 The transport system will carry passengers and cargo in pods through tubes at speeds of more than 250 miles per hour; and that could eventually go as high as 750 miles per hour. The company has been testing its pods in Nevada. Branson’s Virgin Galactic has been setting up office space in Southern California and will be directly competing with SpaceX in the space transport business. 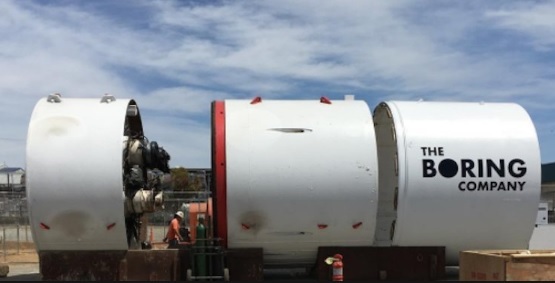 Tesla CEO gaining support for fast train tunnels: Elon Musk’s The Boring Company received approval from the White House to build a series of tunnels that could run from New York City to Washington, D.C. “Just received verbal govt approval for The Boring Company to build an underground NY-Phil-Balt-DC Hyperloop. NY-DC in 29 mins,” he tweeted yesterday. He later tweeted out that formal approval with the Trump administration is still needed, but after discussions they’ve had, he’s confident the project will be able to move forward. That could bring fast Hyperloop-like trains to Los Angeles and important transport routes on the east coast. Freight haulers ask feds to keep SmartWay: Major freight shippers, including Walmart, are asking U.S. House and Senate appropriations committees to restore funding for the voluntary SmartWay clean trucking program. Like several clean transportation programs, it had been cut from the Trump administration’s 2018 federal budget proposal. SmarWay has been working with freight haulers to save an estimated eight billion gallons of fuel and significantly reduce diesel trucks’ emissions of NOx and carcinogenic fine particulate matter. The coalition of companies said in a July 14 letter that the program has saved companies about $27.8 billion in fuel costs since it started in 2004. 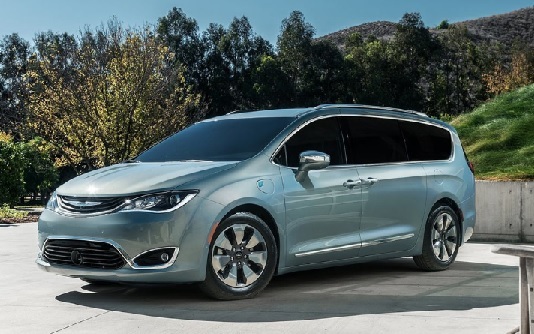 Chrysler Pacifica plugging into California: Chrysler is marketing its Pacifica minivan as a hybrid – and not what it really is, a plug-in hybrid – in every state except California. The Fiat Chrysler Automobiles division is concerned that most U.S. consumers will be confused or concerned about having to charge for the first time and be subject to range anxiety. Plugging in is less of a worry in California, which has made up about half of U.S. plug-in vehicle sales. Still, it is possible to occasionally see Chrysler billboard ads in the state that only identify the Pacifica as a hybrid. Lux study on impact of Trump administration: No matter what the Trump administration’s agenda becomes on energy and environmental issues, the market is filling some of that void, according to a Lux Research analysis paper. Lux examined Trump’s America First Energy Plan and found that renewables and energy storage are well positioned to continue seeing strong growth. State-level policies have been drivers and will continue. Renewable fuels are most vulnerable to Trump’s agenda. “With uncertainty looming and the administration continuing to consider oil-and gas-friendly policies, Trump’s decision to remove the renewable fuel obligation could alter a decade-old ethanol industry,” the report said. Despite the administration’s political agenda, the president’s actual influence will have an overall moderate impact in the U.S. energy landscape, the paper said. That seems to be the case with plug-in electrified vehicles sales in the U.S. and two other key global markets – demand is up even if federal government support may go away and the Trump administration has backed away from supporting the Paris climate accord. According to yesterday’s Green Auto Market Extended Edition, U.S., plug-in hybrid sales were up about 44% for the first half of 2017 versus that time period in 2016. Battery electric vehicle sales were up 29.2% for that period. Europe is up 27% in plug-in vehicle sales for this year (through May), with plug-in vehicle share at 1.4% of new vehicle sales during that period. In China, “new energy vehicle” sales, aka plug-in vehicle sales, reached about 195,000 sold in the first half of the year, up 14.4% year-over-year. June saw a real rebound in the China market, which had been down earlier in the year. June sales hit about 59,000 units sold, up 33.0% year-over-year. PEV sales made up about 2.7% of new vehicle sales in China during June. Musk on AI and state sales bans: Tesla CEO Elon Musk warned a meeting of U.S. governors on Saturday that government regulation of artificial intelligence is needed because it’s a “fundamental risk to the existence of human civilization.” Musk has taken a cautious approach to the AI question in recent years, using his experience with SpaceX missions and developing automated Tesla vehicles as reference. He addressed questions on space travel, self-driving cars, and solar power, at the summer conference of the National Governors Association in Rhode Island. He also brought up the controversial topic of states getting rid of laws blocking Tesla from selling its cars at corporate stores instead of through a franchised dealer network. 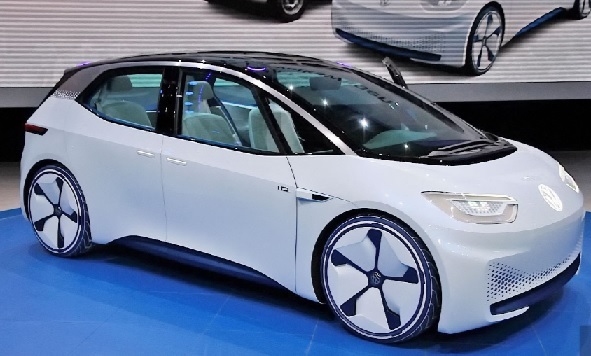 VW versus Tesla: Volkswagen is tapping into its mass production, economies of scale advantage to sell its ID concept vehicles at a much cheaper price than the upcoming Tesla Model 3. 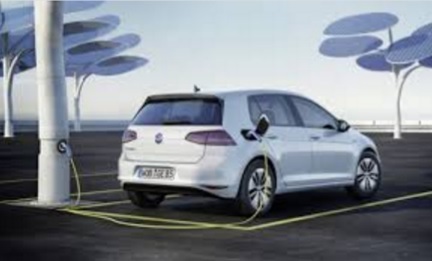 VW’s Chief of Corporate Strategy Thomas Sedran said in an interview with German site Automobil Produktion that the starting price for an ID will be down to $27,000 before incentives – $8,000 cheaper than the $35,000 Model 3. That will still take a while as the German automaker’s ID portfolio is still in the early development phase; it will take a few years for the first one to show up at dealerships. Hyperloop One test: Hyperloop One is getting ready to test out its 28-foot-long pod in Nevada in the next few weeks, the startup said. Inspired by Tesla CEO Elon Musk in 2013, Los Angeles-based Hyperloop One is ready to take the pod transport through vacuum tubes in what could someday be a very fast ride between San Francisco and LA. The goal is to reach 250 miles per hour, which would shorten the car trip quite a bit. Electric cars and oil demand: Bloomberg New Energy Finance released a study today forecasting that electric cars will be reducing oil demand significantly by 2040. That comes from forecasts presented by OPEC, Exxon Mobil, and BP. OPEC quintupled its forecast for sales of plug-in sales, while Exxon Mobil, BP, and other oil producers also revised up their outlooks in the past year.